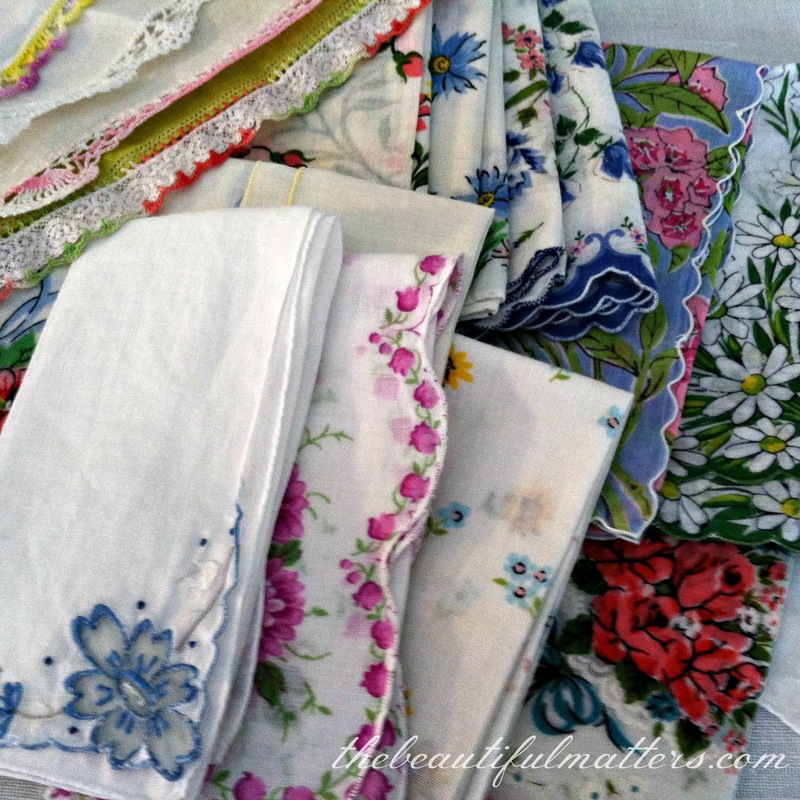 I have more than two dozen vintage handkerchiefs currently stashed in my closet in a little basket. 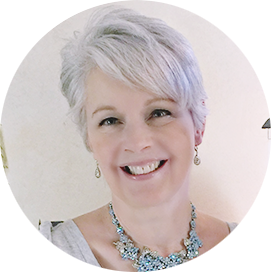 In keeping with my philosophy of using or displaying what I have, I have been thinking about what to do with them. They need some "air time." This is one of my favorites. Love the colors, and just too cute. I have actually used them for their intended purpose, but really don't want hard-to-get-out makeup or lipstick stains on them. Someday I think I will make pillows with them, or airy kitchen curtains, or use them in a quilt (that somebody else makes). But for now, I think at least I can display them. I saw this little napkin holder in a case in the local consignment store a while back. So pretty, with a "doily" etched on it that looks as if it's inside the glass. When I brought it home and looked at it again, all I could think was that it looked like a Stand 'n Stuff taco shell. See the similarity? 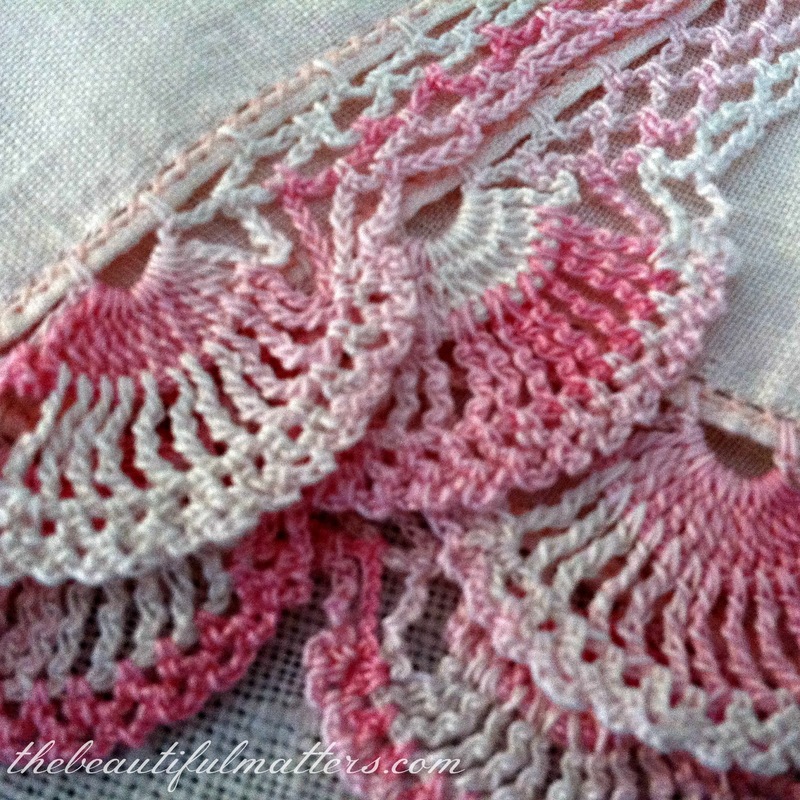 Look at these beautiful crocheted edgings . . . Pretty springtime colors . . . I found this recently. Perfect to tuck into a shower gift for a vintage-loving mom-to-be. So I've filled my "taco shell," and will put this on my dresser for the time being. At Christmas-time, I can switch these handkerchiefs out for these . 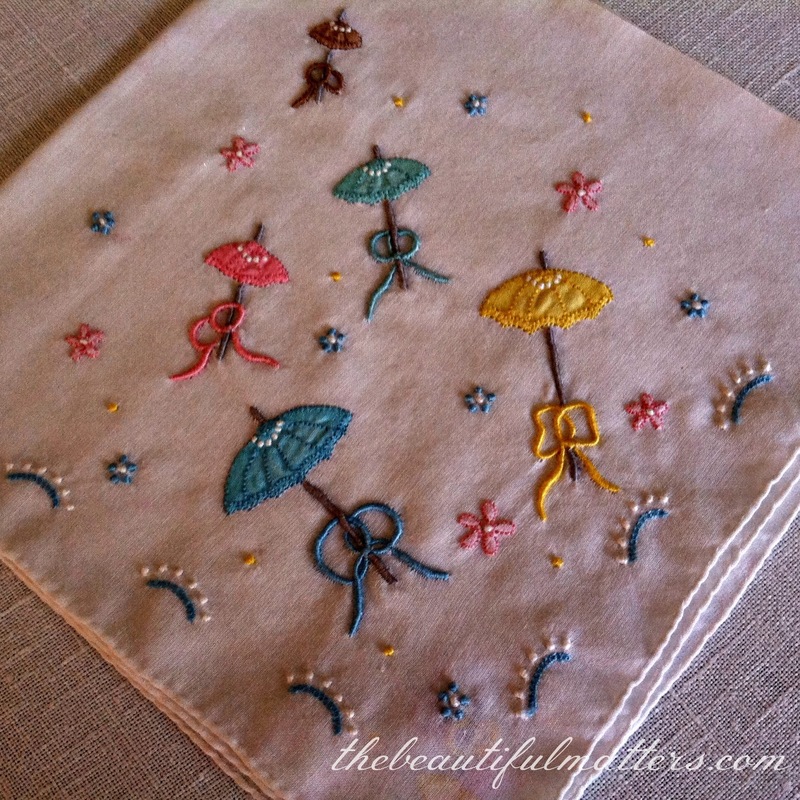 . .
What do you do with vintage handkerchiefs? My hankies in a taco are partying with . 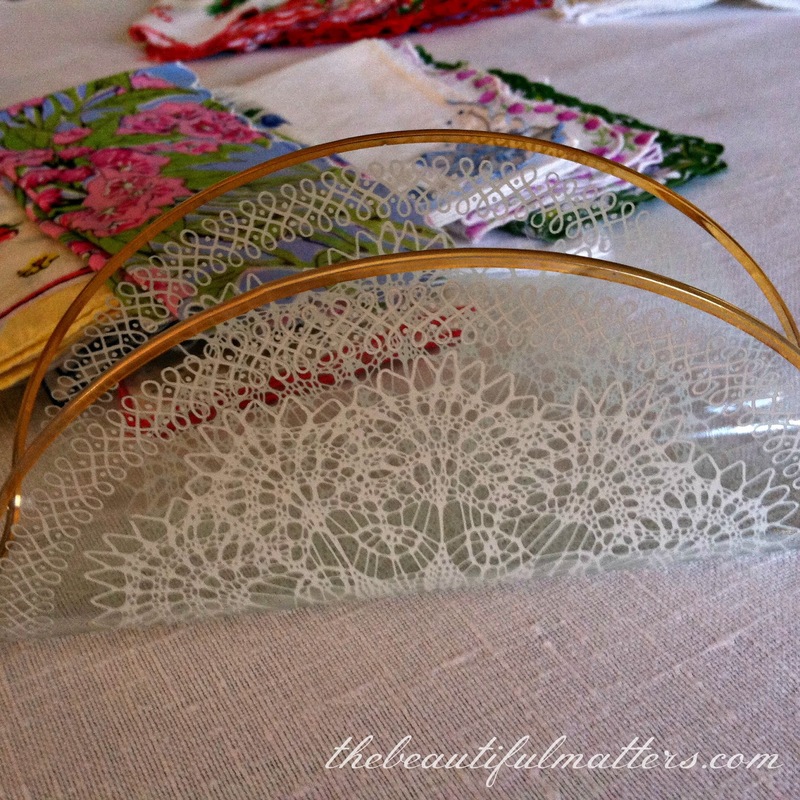 . .
Love the little napkin holder - it is so beautiful. 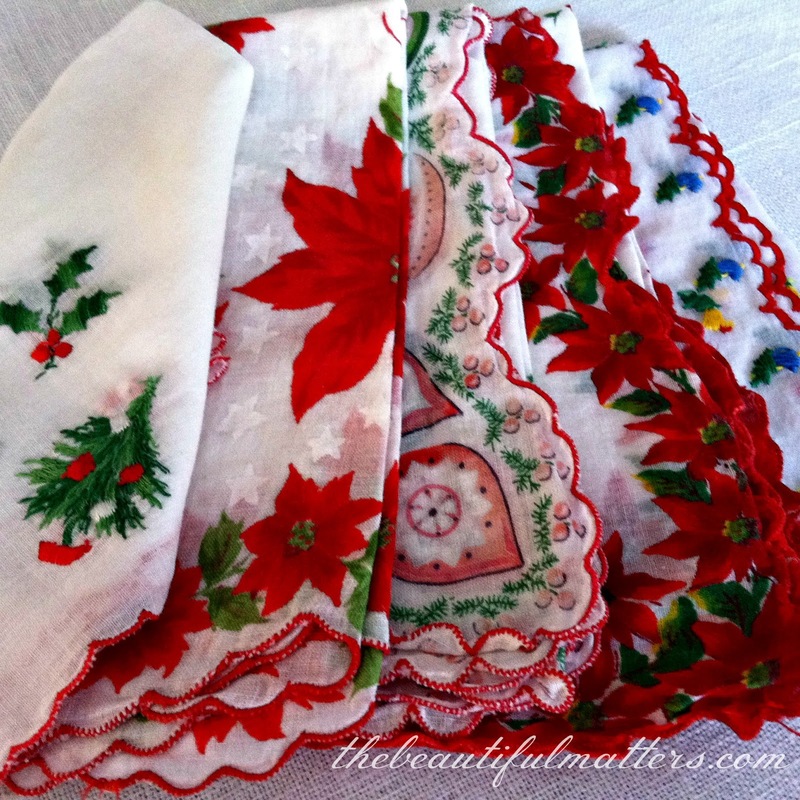 Your collection of vintage handkerchiefs is wonderful. It doesn't look like a taco holder now! What a pretty thing. So glad you snapped it up. You wouldn't have wanted to miss it. I know, I have a few of my mother's and my grandmother's and I have never known what to do with them. This way, out on display they are such a conversation starter! 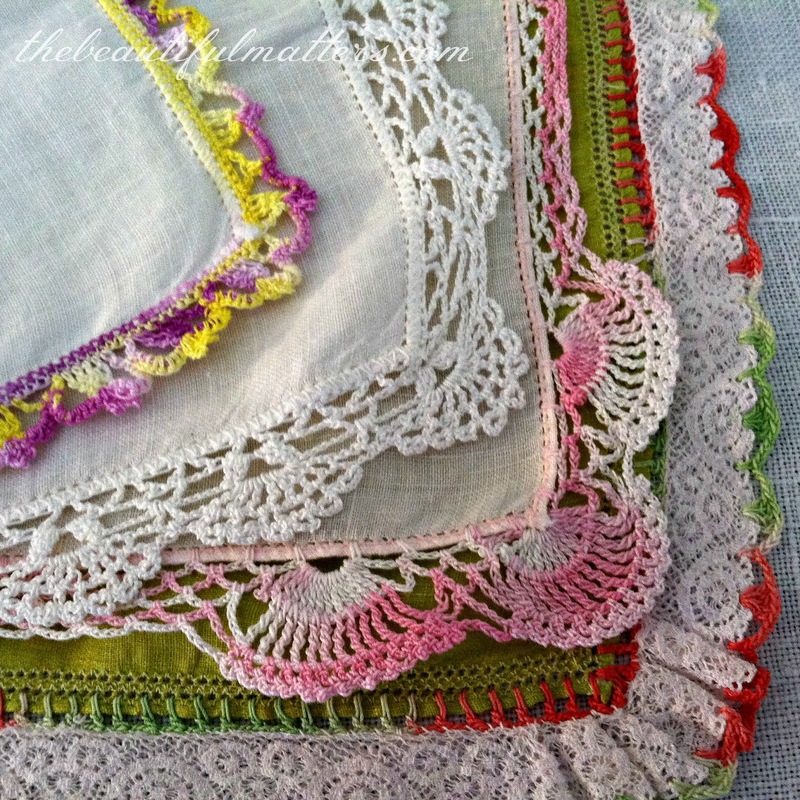 What a beautiful collection of vintage handkerchiefs, all of them so dainty and delightful! I LOVE your lacy napkin holder and it does a fine job displaying these lovelies. Very pretty! 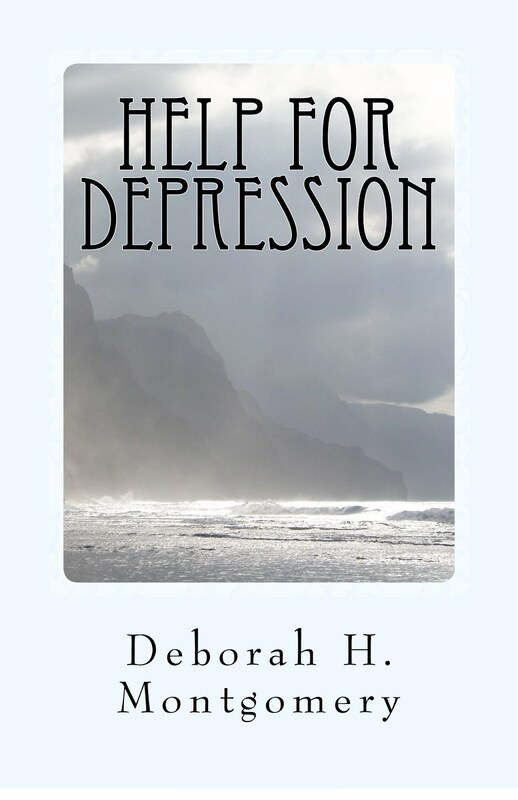 Thanks for sharing, Deborah. 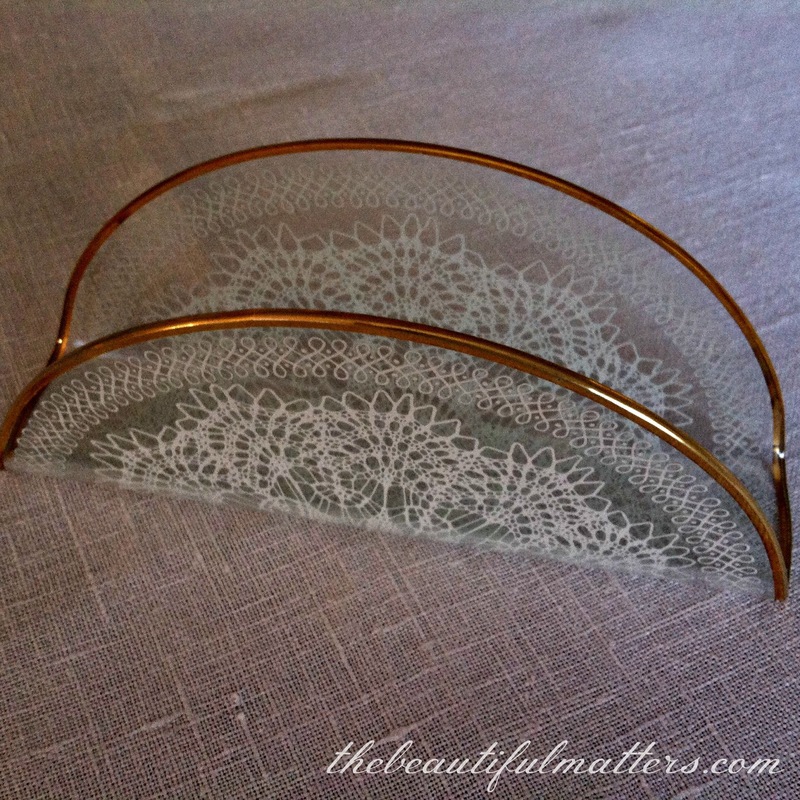 Oh my, you have shared some incredibly beautiful items :) That napkin holder is amazing! 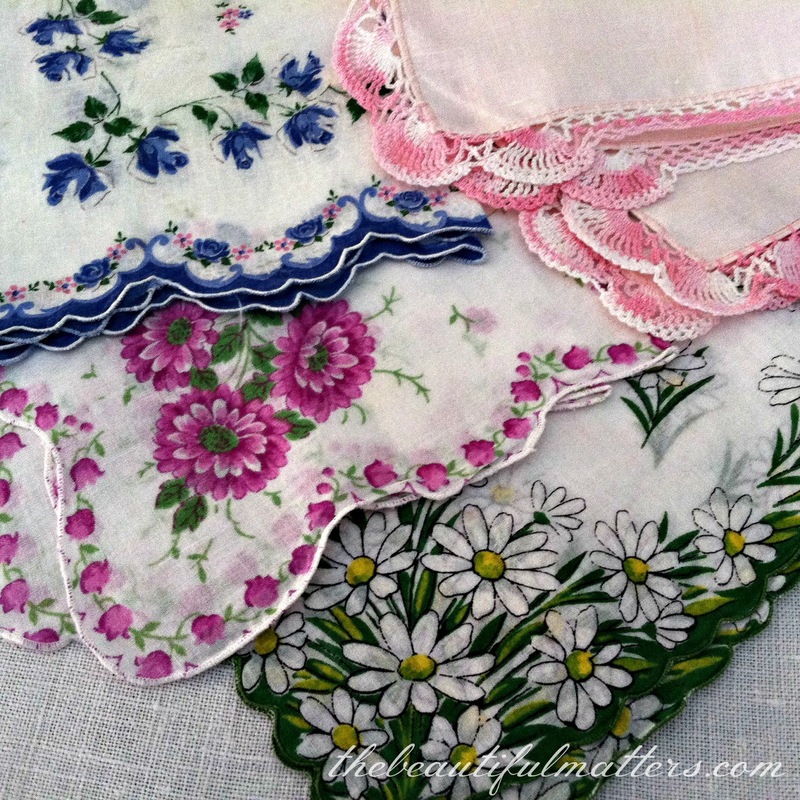 And those hankies...so pretty :) Happy weekend! A wonderful collection. I love the ones with the crochet borders. I also love and collect vintage hankies. I recently organized and now I have a small suitcase full of them. I am still debating what I want to do with them. 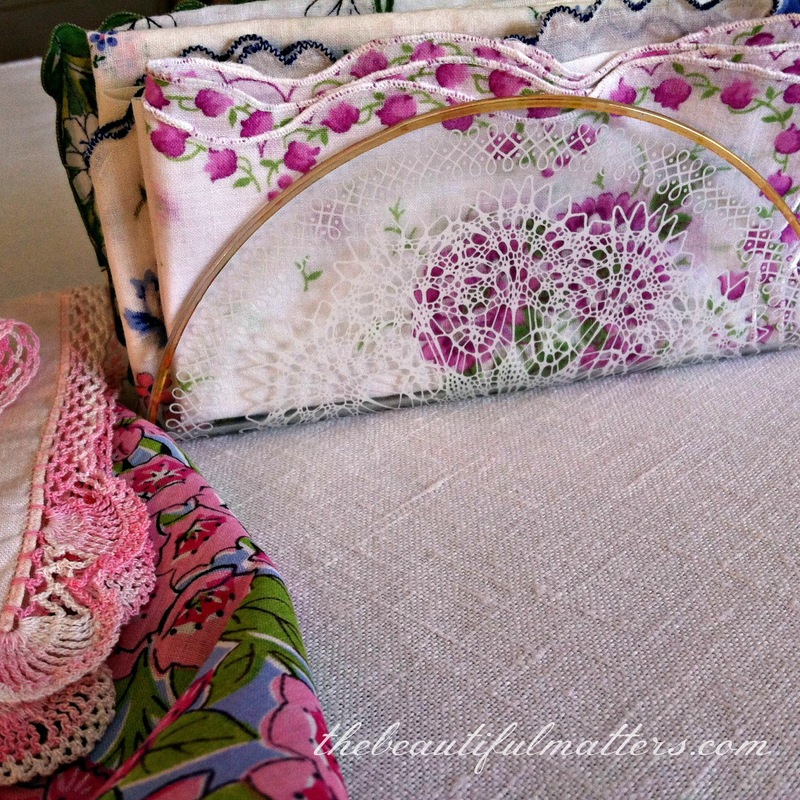 I really like the hanky holder that you have, it's a great idea to display them. They are all so pretty. You have a very lovely collection. I love the ones with the crocheted edges. Too bad we don't use these any longer. Most people do the same thing as you do with them, stashed away somewhere. I have several vintage that came from family estates. I have not come up with a good way to display them and preserve. You have some very pretty ones. Well, I did think the holder looked like a taco holder, but oh boy did I get hopeful that you were going to display those handkerchiefs in it! 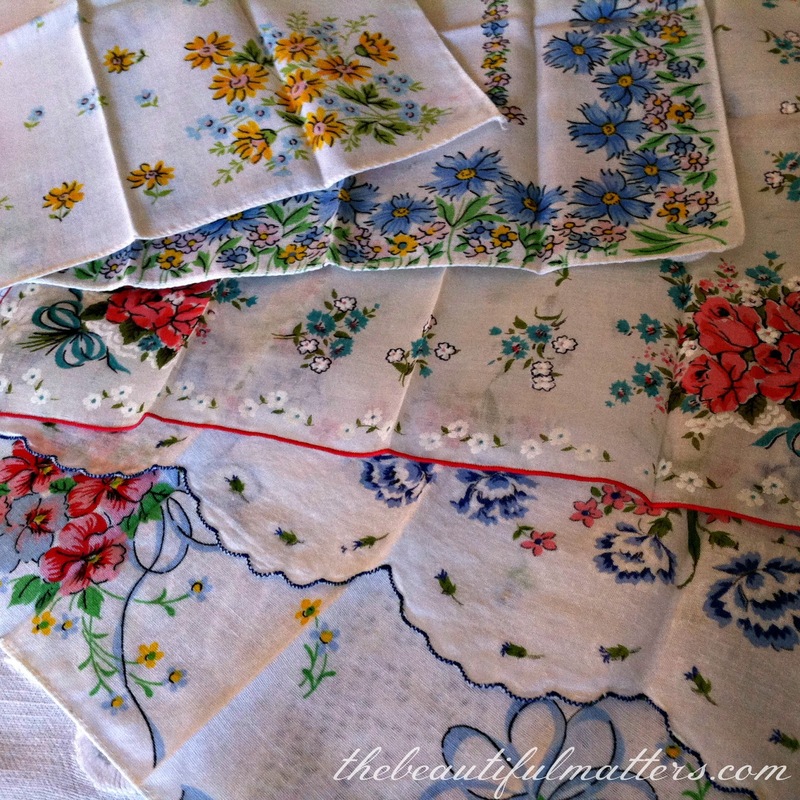 I have a small number of vintage (grandma's) handkerchiefs. Some have stains that won't come out :( but I love them anyway. I have them with me in my purse for "light duty" (no messy stuff of course, yuck). Anyway, If I could've snatched them all (taco holder and all) from the screen, I surely would have! I love making things digitally with my photographed handkerchiefs. I so enjoyed your post. I love your hanky-holder and hankies! You have some pretty ones, the Christmas ones are especially nice!! My mother collected old hankies, I have her collection, about 500 hankies, needless to say, they are in a container, but I do bring the odd one out at times for decorating. 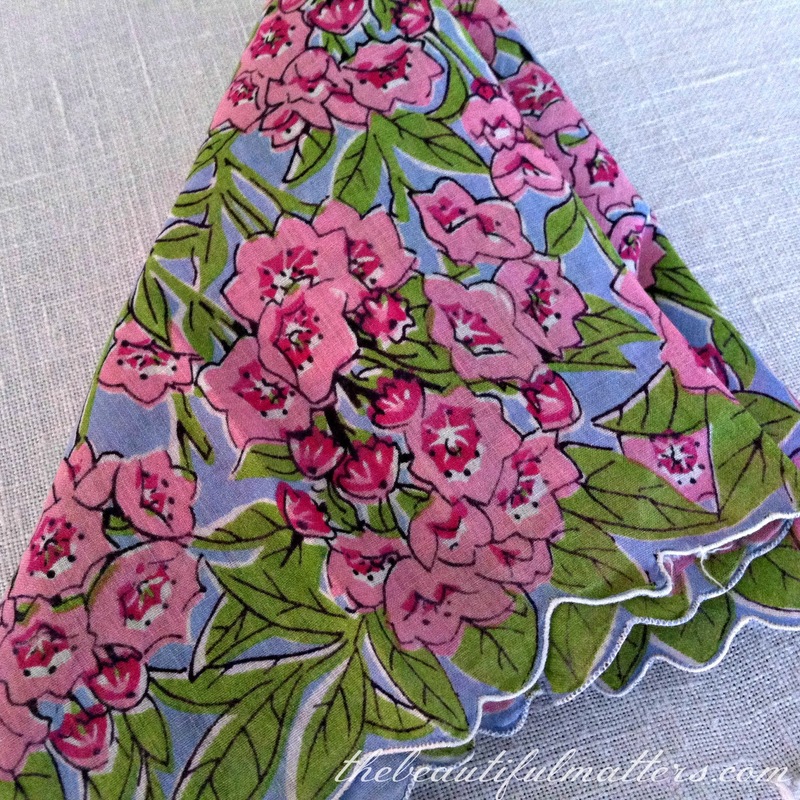 Deborah, I'm so happy to see your hanky collection b/c I have one that looks so much like it. They were all given to me by my husband's grandmother, and they are so lovely, like yours. 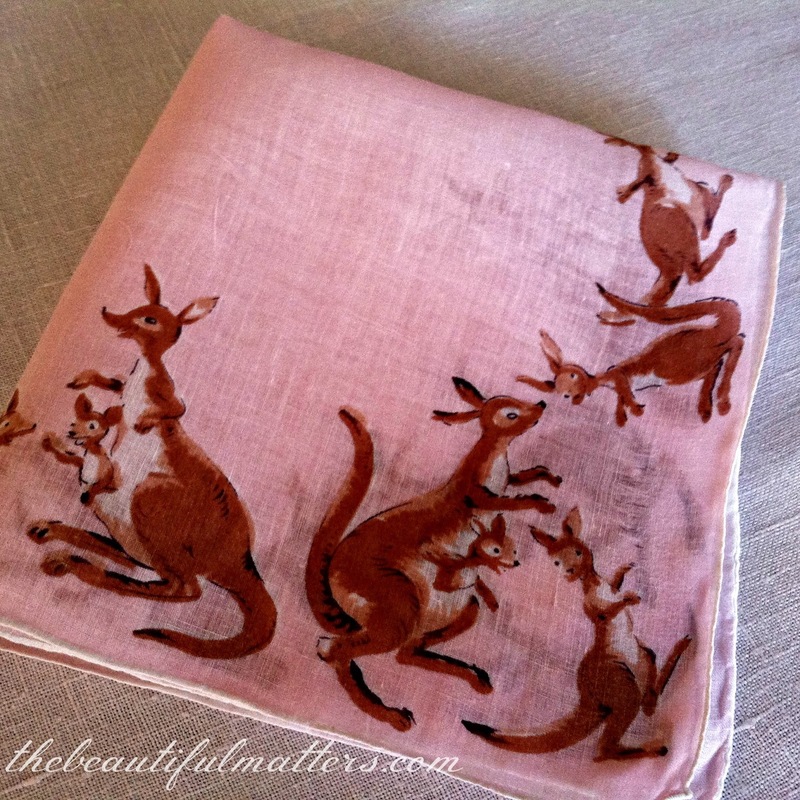 Except -- I don't have one with Kanga and Little Roo on it. That one is precious and so unique! I love your taco shell find :) It's perfect. When you come up with a permanent way to USE the hankies, please do share. Mine are squirreled away somewhere in a box, and really, they should be on display, as you say!